Of course, maybe I’m geographically biased and have fallen prey to a Southern California herd mentality. East Coast folks have certainly asked me on more than one occasion what the big deal is about In-N-Out as they go into a monologue about White Castle or Sonic. But I have had burgers throughout the United States, and still nothing tops an In-N-Out double-double in my mind. 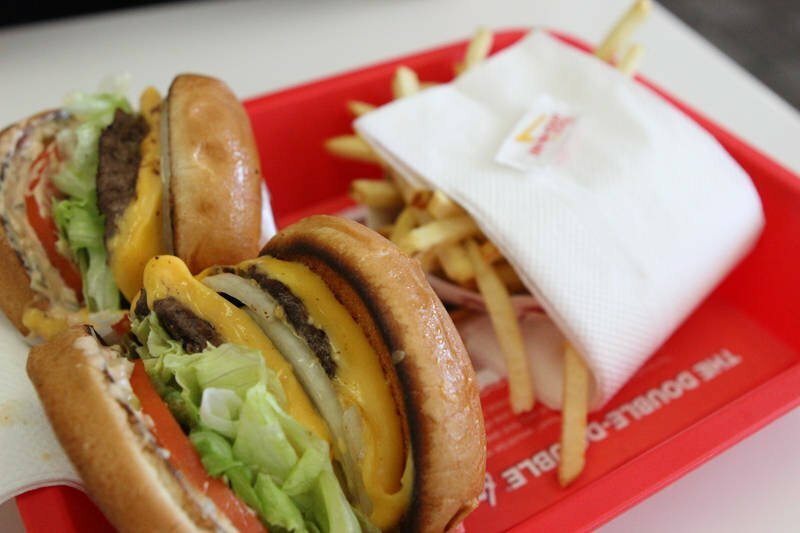 What Makes In-N-Out So Great? 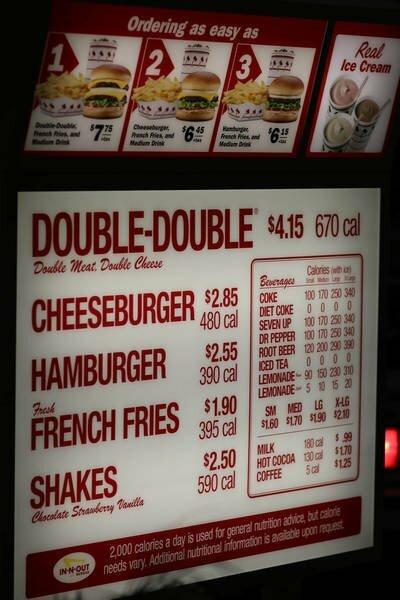 I could easily chalk up In-N-Out’s amazingness to their fresh ingredients, but then again, many restaurants use fresh ingredients — and I don’t love them half as much as I love In-N-Out. So while I can’t put my finger on exactly what it is that makes In-N-Out great, I just know that it is. That said, plenty of restaurants make great food. But not all quality restaurants are as successful as In-N-Out. Success in foodservice requires business sense just as much as it does fresh ingredients and secret sauces, and that’s what I’m going to talk about today. 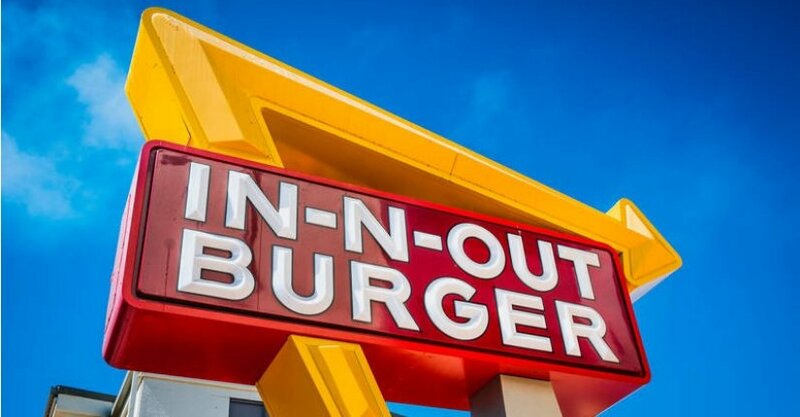 Here are three business lessons that every entrepreneur can learn from In-N-Out Burger’s business strategy. 1. In-N-Out pays their people really well. We live in an age where people can work a full-time job and not earn enough money to sustain themselves and their family. This is especially true in the food service industry. But In-N-Out is a shining light in this muckery! According to Business Insider, In-N-Out offers retirement, health, and dental benefits to both full- and part-time employees. And get this — managers there can make upwards of $160,000! I can’t help but think that a part of their success can be attributed to their higher-than-average wages as it helps them attract and retain quality employees. 2. In-N-Out provides knock-your-socks-off value. A couple weeks ago, my wife and I paid $18.90 at a major fast food restaurant for our lunch. We were shocked at the price we paid for the quantity and quality of the food we received. Frankly, we didn’t feel that we received value in exchange for the money we paid. This is never the case at In-N-Out; if anything, we feel that we receive far more value than we pay there. We can typically spend $10 or so at In-N-Out and walk away quite satisfied! Frankly, any business can learn from this. You want your customers to walk away from doing business with you convinced that they have been provided incredible value for what they paid you — this way, they can’t help but come back for more! 3. In-N-Out keeps the main thing (burgers) the main thing. Another great thing about In-N-Out is that they have focused on the one thing they do — craft delicious burgers — and they do it well. They don’t have gimmicky limited-time promotional items. They don’t expand into other cuisine, offering tacos or chow mein or chicken vindaloo. They’ve focused on one thing for the past 70 years — stacking cheese on top of veggies on top of ground beef on top of bread — and they intend to keep it that way. In my opinion, all small businesses would do well to take this approach: niche down into one produce or service offering and perfect it. Otherwise, you’ll spread yourself too thin and the quality of the 101 things you offer will suffer. See, you want your business to be top-of-mind for one thing. You need to find your “double-double,” so to speak. You hire the right people and treat them right so that they stay. You provide incredible value to your customers so they come back time and time again. You focus on being known for one thing. This is the recipe for business success. The next time you visit an In-N-Out — or any restaurant you love — I encourage you to consider what ingredients have contribute to its success, and then think of how you can translate their strategies to your own business.